Entrepreneur and angel investor Matt Watson started a side business in 2003 helping car dealers get pictures online. 8 years later he sold VinSolutions for $135 million dollars to AutoTrader. 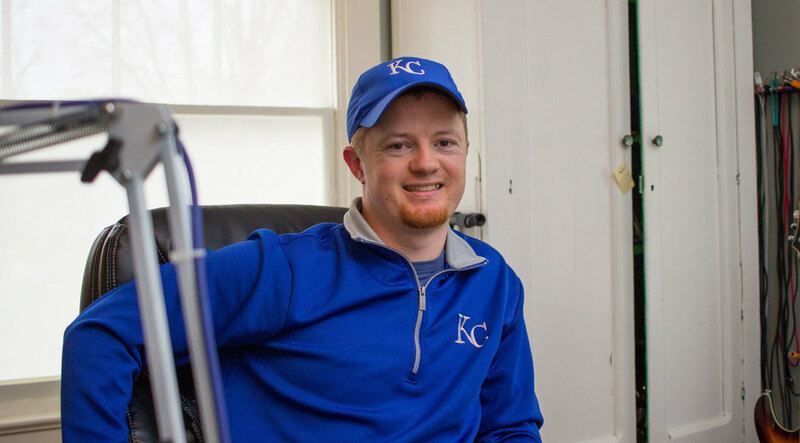 Now he’s working on his new business, Stackify and investing in new Kansas City startups. In this episode we talk about the history of VinSolutions, creating a environment for growth, bootstrapping vs funding, helping his Dad at the flea market, Kansas City’s entrepreneurial community and a lot more. We are much happy to watch each episode of matt watson stackify talks. That about angel investing boot strapping and http://www.rushessays.net website kansas city radio services. Everything will get from this blog. An excellent type of posting style you have used to create this great post. I appreciate you for the sharing of this great post. http://callcaliforniaplumber.com/sacramento-plumbers/ is the best place for home services. good out information below as well as go to download and install	Fildo App	Prior to March, the markets were extra siloed Android nice. Your site is amazing, let alone articles that you have created. Don't forget to drop by my news sites. Glad to see. Thank you for sharing! Underwear - Unterwäsche von Nike, Jako, Adidas, Erima, Uhlsport und Under Armour. ... Nike Pro Fierce Bra Sport-BH Damen Weiss F101. 39,95 €* 31,96 €*. In my opinion it's very interesting and informative to listen to such information about entrepreneurship. These stories on http://www.essayheaven.org/are so informative and motivational. I am sure for the lots of people here is the chance to get aware about business development. Keep it up with good work and please share the latest stories. Let create a new world for yourself by way take part in the games– https://www.sims4-mods .com/ in my site. Click link to visit site. Thank you so much. When you begin playing a game which you are unable to step out of readily Simply take a few breaks. If you are not careful with taking fractures video games can get addicting and result in an unhealthy lifestyle. Playing games ought to be done to get an obsessive reason that was unhealthy, not for pleasure. Speak with a health care provider if you can't pull yourself away from a match. James DeGale and Chris Eubank Jr are counting down the days until they can settle their grudge in a highly anticipated clash at the 02 Arena on 23 February on ITV Box Office. Its really a good article. i like this post. Thanks Ben, that was an awesome episode. Keep sharing it. Now you can avoid the use of mouse and touch pad by using windows shortcut keys. So if you couldn't know about windows shortcut keys then you should visit here on this website. Excellent website you have here but I was curious <a href="https://onegold888.com/">onegold/</a> about if you knew of any message boards that cover the same topics discussed here? I'd really like to be a part of community where I can get responses from other knowledgeable individuals that share the same interest. If you have any recommendations, please let me know. Thanks a lot! you are in reality a good webmaster. The web site loading pace is amazing. It sort of feels that you are doing any unique trick. In addition, The contents are masterwork. you've performed a excellent task in this subject! Press the link to donwload test dpc apk. <a href="https://test-dpc-apk.com/">donwload test dpc apk</a> The whole process will just take a few moments.